Swimming can be a sport for all ages. It helps young people to tone their muscles and grow healthful and strong. For the elderly, there's no better method to exercise than getting a Other cities in Andhra Pradesh Swimming Pool to escape from day-to-day routine. 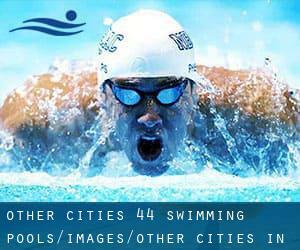 If you might be looking for Other cities in Andhra Pradesh Swimming Pools (Andhra Pradesh), it's good to know quite a few of them belong to gyms or sports centres which also deliver lessons. Get informed by calling the premises. Not all countries are the identical, and swimming rules and regulations are changing from one country to the other. So, if this is your first time looking for Other cities in Andhra Pradesh Swimming Pools (Andhra Pradesh), be sure to call the premises before you drop by. For Other cities in Andhra Pradesh and its vicinity, we're showing you all the registered pools, some of them have no GPS coordinates and can't be found on the map at the map. Swimia.com wants your feedback on Aquagym in Other cities in Andhra Pradesh to ensure all of the knowledge about swimming in Other cities in Andhra Pradesh is valid. Do you know of any Swimming Pools in Other cities in Andhra Pradesh that really should be listed here? Contact us!. One in the advantages of outdoor swimming in Other cities in Andhra Pradesh is the possibility to sunbathe throughout the summer time season. Taking it with additional care, sunbathing is healthy since introduces Vitamin D into the body, so the most effective selection seems to be switching between indoor and outdoor pools depending on the season. There are several reasons why it's best to choose a heated swimming pool in Other cities in Andhra Pradesh. Essentially the most vital one relies on the importance of keeping the body temperature stable. If the water is too cold, your body will try to warm it up and you will lose strength to swim properly. If you're tired of possessing eyes and irritated skin, finding a saltwater pool in Other cities in Andhra Pradesh can be the answer. You need to understand that the level of salt from these pools is well below the level of salt from sea water, specifically they are talking about a tenth or less. Enjoy the best indoor pools in Other cities in Andhra Pradesh and don't worry about the weather. These facilities are open all seasons and you can enjoy a swim at the same temperature every day of the year. Beach Road , Visakhapatnam , Andhra Pradesh , INDIA (Postal Code: 530 003). Among all the activities offered by the centre, if you are interested in swimming you might enjoy Olympic size, 8 lanes, Outdoors. Just in case you want to get in touch with this Swimming Pool before dropping by, we only know the phone number. It's difficult to visit Other cities in Andhra Pradesh with no dropping by Vijayawada (with 874.587 residents). Currently Swimia is showing you all of the Swimming Pool in Vijayawada and also the closest pools located in its vicinity. Holding an estimated population of 530.577, Guntūr is one of the most important cities in Other cities in Andhra Pradesh. Check all of the Swimming Pool in Guntūr and its surrounding area. Let us let you know a secret to switch off while you're in Visakhapatnam: just choose a Swimming Pool in Visakhapatnam and plunge into the water! There's no more effective process. Swimming is a wonderful concept to help keep your body active for the duration of your visit to Warangal (Other cities in Andhra Pradesh), or even if you are a local. Swimia helps you to discover your closest Swimming Pool in Warangal. Without a shadow of a doubt, swimming in Nellore is the most beneficial option to unwind following work. Take a couple of minutes to browse Swimia's catalog to find a Swimming Pool in Nellore. Whereas Kūkatpalli is one of the six most populous cities in Other cities in Andhra Pradesh with nearly 341.709 residents, you shouldn't miss that one if you're going to Other cities in Andhra Pradesh.